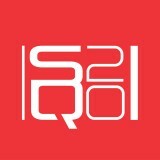 With the fully support from the Hong Kong well established music label Media Asia Music, the "20th Canadian Chinese Song-Writers Quest (SQ 20)" is going to be in a bigger scale. Not only your entry song might be chosen by Media Asia Music, the winner from SQ 20 song writing competition will also have a chance to perform on stage with top notch artists at the July 29th SQ 20 Anniversary Concert. The "20th Canadian Chinese Song-Writers Quest" application starts today and the competition will be taken place on the May 21st.